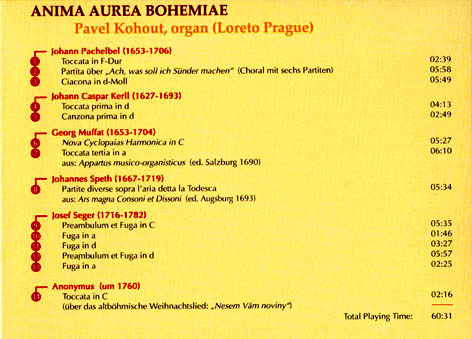 In putting together the programme for this CD, I have tried to create an appropriate compilation of organ works that are to some extent specifically tailored to the Loreto Organ in Prague: i.e. a baroque repertoire of original compositions. 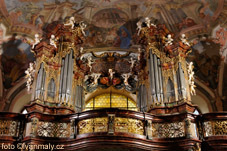 They ideally demonstrate the splendid sound of this unique 18th century historic organ and cleverly illustrate the synthesis between early Italian, south German and early Bohemian organ building.